Al Falah University is in Dubai, United Arab Emirates a global city and rated as one of the best places to live in the Middle East. AFU promotes a study environment filled with intellectual meticulousness without overlooking the need for recreation. Committed to educating the youth, AFU’s graduates become great "thinkers" and “doers” who are opportune to study theories and put scientific experience into practice. AFU seeks to identify the needs of the students and to meet these needs. The university tries to provide some strategies and events that help the student develop basic skills which help him/her in academic, professional and social success. 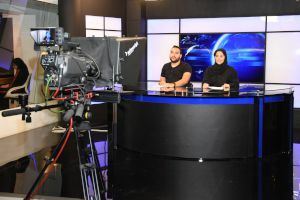 AFU Students Media Club is to promote the University’s image locally and internationally via different use of media channels. Students are the main body of the club and they will contribute stories, phots, videos and articles about Al Falah University which covers; events, celebrations, and different activities. AFU Innovators Writers Club is responsible for the Students Newsletter that documents the achievements of AFU by student journalists. The students are also given the chance to network with professional organizations for career opportunities and professional development. Student Affairs Unit at Al-Falah University recently joined the Institutions of Higher Education League. 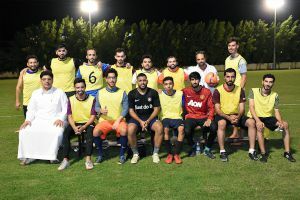 The AFU’s Football Team has been newly founded and other sport teams are currently underway. Starting from interest oriented activities to talent enhancement; AFU strives to give the students absolute independence of experience. Our students lead a wide range of cultural, academic and social organizations. Student representatives work together with university leaders to enhance the student experience. The English Learning Centre (ELC) at Al Falah University exists to serve the students with any language related training courses and assessment tests. The center provides comprehensive English language skill evaluation and training. Evaluation and training include, and are not limited to, formal classroom teaching with language computer labs and special on-line learning programs materials. Training course recommendations are also proposed which include a range of remedial programs tailored to each student’s needs. Professionals eager and well-versed to serve the queries of outsiders and students operated the front desk at Al Falah University. AFU receptionists welcome walk-ins and entertain telephone call requests. Equipped with whiteboard, tables and chairs and furnished with the latest PCs, internet connection and other audio-visual equipment such as projectors, screens and flip charts are readily available and specific to the needs of the students. Fully functional computer labs serve computer based courses taught for the different Colleges. Expert IT specialists manage the laboratories and support the students with every software and hardware needs. In partnership with Market Traders Academy, AFU launched its Investment and Trading Laboratory to allow students access to Bloomberg databases and other resources and experience trading and investment in real-time. With a library that offers a variety of purpose-built study spaces and a lab, a place to plug-in electronic gadgets and a nook to catch-up on readings are close at hand. The library staff is approachable, knowledgeable and takes pride in working for the Library. To inspire learning, research and creativity, the library offers information sources that are easily accessible, reliable and of high quality. Database includes textbooks, reference books, e-books, journals, periodicals. An early intervention program to enhance academic performance. Students are given the opportunity to obtain scientific meetings to develop advanced concepts and skills in academic courses. Al-Falah University tries to identify the skills of study that help in academic achievement, develop motivation towards learning, achieve success and develop self-awareness by identifying strengths and weaknesses in performance. A certified partner of British Council since its inception, Al Falah University is an official IELTS Test Venue for current students and applicants all over the emirates. Located at the ground floor of the university campus, this 160.05 sq.m. area could easily seat 45 persons. Fully equipped with wi-fi, sound and lighting systems and projector, the AFU auditorium accommodate internal and external events. The AFU Canteen offers a menu with fresh food supplied daily. Affordable assortment of healthy food and beverages caters to the nutritional needs of the students. Indoor mess halls furnished with chair and table sets – one for male and one for female students are available. The spiritual welfare of the students and staff are also vital for personal development. Well maintained male and female prayer rooms with attached ablution areas are conveniently close by for daily perusal. Both rooms are air-conditioned, with available Holy Quran and usable scarves (for women). A well-manicured, semi-covered backyard provides students and staff opportunity to enjoy the outdoors. It is also used for small and large-scale university activities. Al Falah University is in Garhoud among other educational institutions. Unrestricted parking within proximity to the campus building is free. Starting University could be a daunting task and overwhelming. Coping with the stress might be challenging, and it is in this regard that the Student Affairs Unit at Al Falah University instituted its Counseling Services to help students discuss their anxieties. Counselors treat issues in the utmost confidential and professional way within a safe environment to make the students feel protected and secure. The Counseling Service is available to students undergoing immense difficulties dealing with personal problems and academic struggles. The service is also offered to enhance the competencies of students by arranging for opportunities and occasions that will help develop their abilities and discover new ones. AFU provides primary healthcare services along with supporting the students, teaching staff and campus employees' safety and wellness. In this respect, the university employs professional and licensed nurses for providing first aid and medical care in cases of minor illness and severe injuries as well as health education and enhancing protection against diseases. Each student is requested to fill in a questionnaire, indicating to his/her respective health condition. Furthermore, students with special needs or disabilities, who need assistance regarding their activities in the campus, can submit medical reports from their respective doctors, explaining their relevant health conditions and special requirements. All medical records, forms and documents are confidentially maintained. Any potential patient is requested to approve sharing his/her health record unless it is permissible by law or it is related to a life-threatening case. AFU provides students, employees, teaching staff and visitors with a high level of safety. The Administration & management must maintain safety feeling against any risks. Being committed to safety, AFU permanently endeavors to maintain a safe environment. Hence, safety measures are precisely implemented; security gates are provided with well-experienced security officers and no person may enter into the premises unless he/she holds the relevant permit. Al-Falah University seeks to facilitate continuous communication with its graduates and help them develop their abilities to meet the challenges they may face in the labor market and provide guidance to them to complete their higher education. The Office organizes some activities and events that are consistent with the vision and mission of the University. Al Falah University tries to strengthen the relationship between the university and its graduates, to develop a sense of participation among graduates, and to encourage joint cooperation between graduates and the university to provide better service to the community. The office is supervised by the Deanship of Student Affairs. Graduate activities are planned early in each semester. The Career Development Service is offered to assist students and alumni with career planning and job search. Dean of Student Affairs is available to assist students in deciding their major, assessing their skills and interests, exploring job information, writing resumes and cover letters, polishing interview skill, and developing job-search strategies. The Dean of Student Affairs seeks to assist students by helping them relate their career goals to their educational goals. This process begins in the freshman year through the use of personal interest, values, skills and experiences and expands throughout a student’s university years to resume development, internships, graduate college planning and job search. Career development service is an important resource for all students - not just for job-hunting seniors. All students are encouraged to work with career services throughout their university experience in all career-related matters. AFU seeks to identify the needs of the students and to plan activities to meet these needs. The success of the student in choosing the appropriate specialization and then get the job consists of his/her abilities as well as perseverant tendencies, and trained skills. The university tries to provide some strategies and events that help the student develop basic skills witch help him/her in academic, professional and social success.